Unlike portable patio heaters, post patio heaters provide warmth and heat from permanently affixed post units. 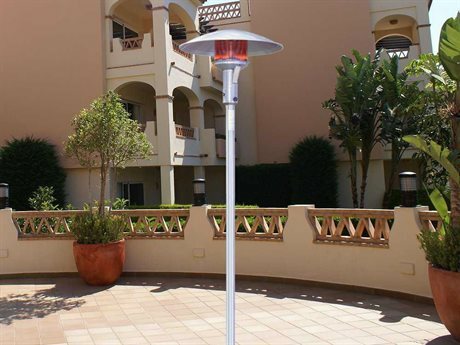 These patio heaters are fueled with natural gas and require professional installation. Post patio heaters are always there when you need them and they have a constant source of fuel that never runs out making them ideal for commercial locations and heavily used outdoor spaces. 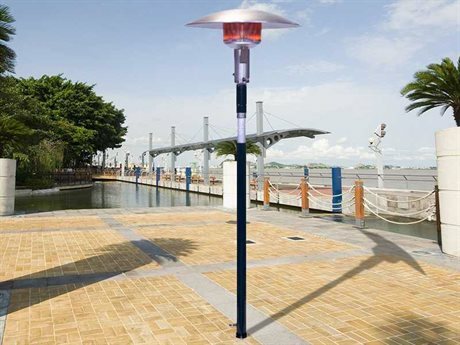 At PatioLiving, we feature the Sunglo stainless steel permanent post natural gas heater from the Permanent Post collection. Certified, CSA International, these heaters are ideal for use anywhere around the world. 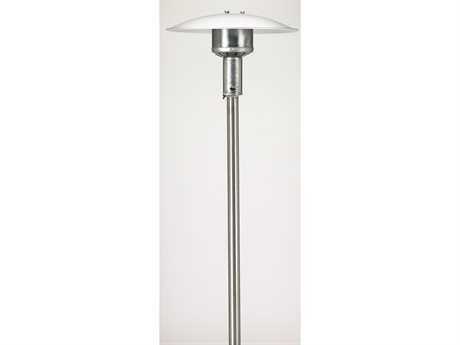 Large and bold, the Sunglo post patio heater comes in silver stainless steel or polished black steel to match its surroundings. Options to customize the ignition are available and include the choice of: 24 Volt control ignition, 24 E Volt control series ignition, and manual DSI ignition. The model weighs in 70 lbs, giving it the sustainability it needs to breeze through seasons and 10 mph winds. At 50,000 BTU’s, it's the highest post patio heater available on the market today using natural gas, and heats within an area of twenty feet. Heating also becomes simplified with pilot and electronic ignition choices. There are an infinite amount of locations that best suit the Sunglo post patio heater. They typically grace a setting that is dimly lit but remains populated for most of the year. This is because of their permanent installation. We recommend welcoming them into a nice sheltered patio or front yard that isn’t too exposed to extreme weather conditions (though the Sunglo post patio heaters do resist well against rain and winds). These heaters will never corrode or rust.